One of the many pleasures of visiting Copenhagen – especially for first-time travellers to the region – is that it provides an easy opportunity of popping across to neighbouring Sweden. By far the easiest journey is to Malmö and the simplest option is to catch the train, which entails a journey of about 35 minutes across the Öresund bridge, a familiar sight to those familiar with the Nordic Noir TV series, The Bridge. 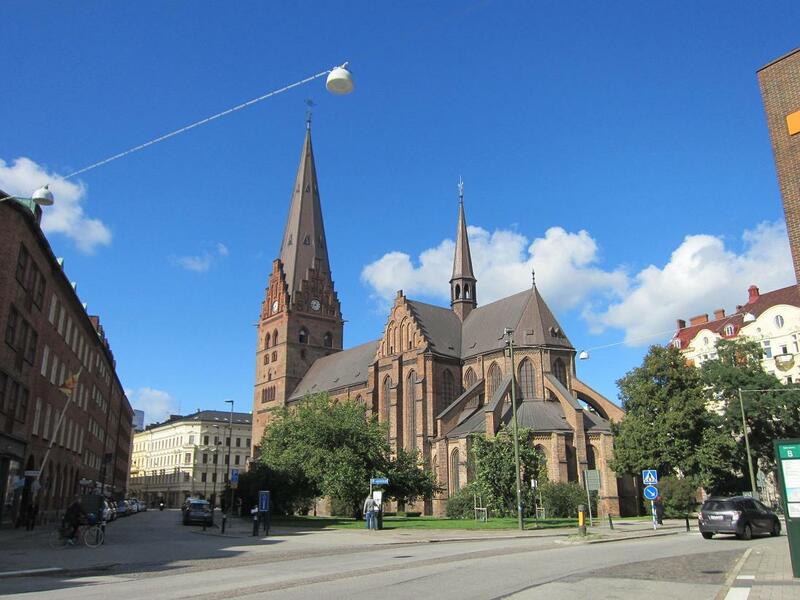 Malmö is a relatively small city that is a mixture of the old and new. In the harbour area, particularly, here are lots of new developments and buildings, the strangest of which is the Turning Torso, a bizarre twisting structure that rises to 190 metres. It is located in the Western Harbour, a veritable hotbed of new development. At the other end of the scale, St Peter’s Church is the oldest building in the city, dating back to the beginning of the 14th century. The church is in Gothic style and while it does not reach the heights of the Torso, its tower is an impressive 105 metres tall. The heart of the Old Town is Stortoget Square, built in the 16th century. 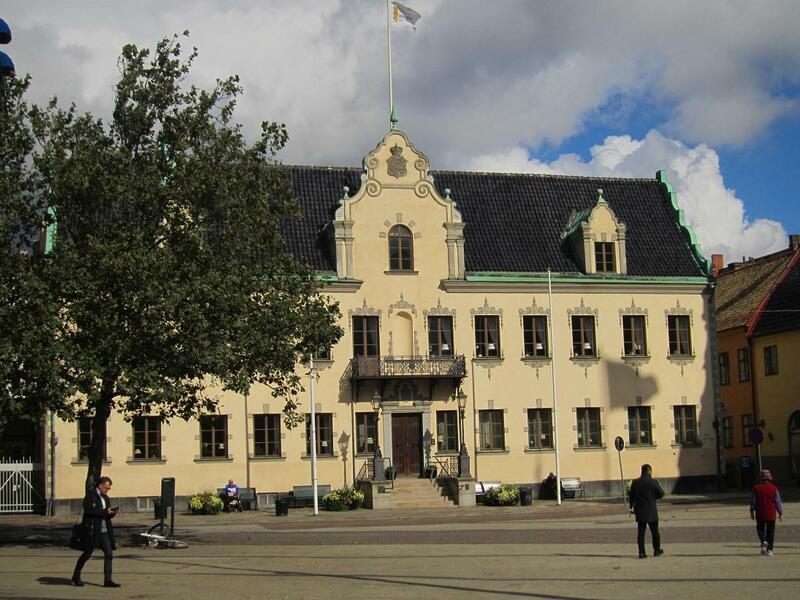 The square is surrounded by a host of lovely buildings, including a number of cafes and restaurants, and is home to a fine bronze sculpture of Karl X Gustav, King of Sweden from 1654 to 1660. Malmö is famous for its parks and there are three in the city centre; Slottsparken (The Castle Park), Kungsparken (The King´s Park) and Pildammarna (The Willow Ponds). In all, there are sixteen parks within the city boundaries, so there is no reason for anyone to complain of a lack of green space. Visitors arriving by train from Copenhagen will stop at Hyllie (pronounced Hoo-yer, for those who want to impress the locals). 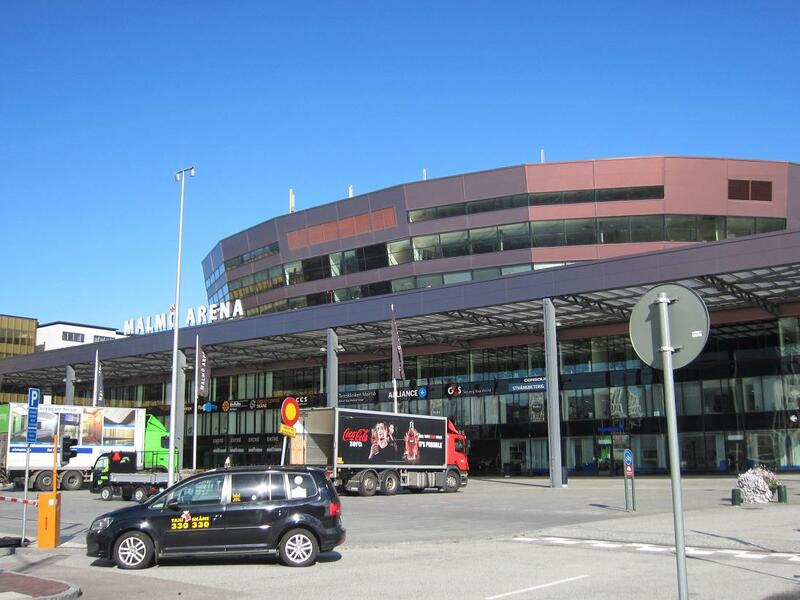 Here, you will spot the Malmö Arena, a large indoor hall that hosts ice hockey (a big sport in Sweden), handball and athletics, along with other events and exhibitions. It is home to the rather improbably-named Malmö Redhawks ice hockey team. Another – and rather better-known – Malmö team is Malmö FF, the only Scandinavian club to reach a European Cup final, losing to Brian Clough’s Nottingham Forest in 1979. The club plays its matches at the Swedbank Stadion, about three kilometres south of the city. With its waterways, parks and easy-going atmosphere, Malmö is a thoroughly pleasant place for a day-trip, particularly if the weather is sunny and allows the opportunity to take advantage of strolling and sitting around for a while. If it’s not so clement, a good idea is to head for Malmöhus Castle and indulge in some quality museum time. Considering the proximity of Scandinavia to the east coast of Scotland, it’s a bit of a mystery as to why it took Duck Holiday so long to visit the region. However, we got there eventually and spent a few days in Copenhagen. Many cities seem to have airports that set out to challenge you, with esoteric transport links (or in the case of London, outlandishly expensive ones). Not so Copenhagen. There are many ways to get to the city centre, but if you want to go right to the heart of the city quickly, the train is the easiest option. The journey from the airport to the Central Station takes about fifteen minutes and comes at a reasonable price. Many city centres are loaded with costly hotels, but once more Copenhagen does a good job in this regard. Sure enough, there are fancy five-star establishments in the area, but there is a good range, with a plethora of mid-range and budget hotels along with guest houses and hostels. In short, something for everyone. The same rule applies to bars and restaurants. While it’s true that Copenhagen is not the cheapest place to eat, drink or shop, it’s not as bad as some people might have you believe. True enough, you’ll be lucky to get a half-litre glass of beer for under a fiver, but it is possible to eat out without re-mortgaging your home. The city has a hugely diverse population and as a result, has a wide variety of restaurants. We went to a Pakistani restaurant near our hotel and had an excellent meal, including a beer and an Irish coffee to finish. The cost was around twenty pounds a head, which is no more than you would pay in most places in Britain. One of the first things that strikes you while wandering around is the sheer number of bikes. There are a number of ways in which Copenhagen resembles Amsterdam and the multitude of cyclists is one. 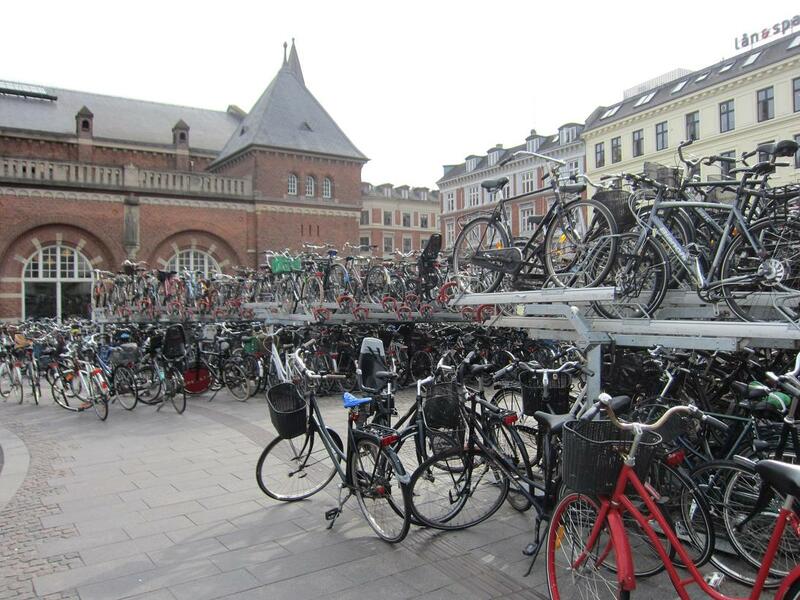 If anything, there seem to be even more bikes in Copenhagen than Amsterdam. It’s one of the few places you’ll see multi-storey bike racks. Let us, however, return to the important subject of beer for the present. Copenhagen is synonymous with Carlsberg and it is no surprise to see that giant brewery’s name and products all over the city. For those of us from the UK, the thought arises of horrible fizzy lager brewed in Northampton, but this is Denmark and Carlsberg produce a wide range of beers, including stouts, porters and pale ales along with the more expected lager brews. Many of their beers are more than palatable. There’s much more than Carlsberg, though; Denmark has a thriving micro-brewery scene and there are many brew pubs within a small radius of the centre. We tried out Mikkeller – beer enthusiasts may recognise the name from bottles in UK off licenses – and discovered a busy cellar bar with no less than fifteen beers on show, all brewed on the premises. The only drawback to spending an evening here is that you’ll be lucky to find a session beer, most of the ales being on the strong side. The lightest weighed in at 4.5%, but there is certainly no lack of variety and we even sampled a Danish brown ale during our visit. Naturally enough, you will also find multiple references to Hans Christian Andersen throughout the city. He was not a native of Copenhagen, but moved to the city when he was fourteen. There is, of course, a museum dedicated to him and this is largely aimed at children. A statue of the writer stands on the street that bears his name and one of the city’s most famous sculptures is of The Little Mermaid, which can be seen at the harbour. A word of caution – it is indeed a little sculpture! For those that enjoy statues, the Glyptotek is the place to go. This museum was founded and funded by the Carlsberg brewery, who have been patrons of the arts for some time (I’m almost getting to like them). You’ll find ancient Egyptian, Greek and Roman sculpture here along with more modern pieces from Denmark and France. If you’re lucky, like we were, you’ll visit on a day when there is free entry (a Tuesday in our case, though days may not be fixed). It’s true that you don’t get admission to any special exhibitions, but there is plenty to see in the permanent galleries. 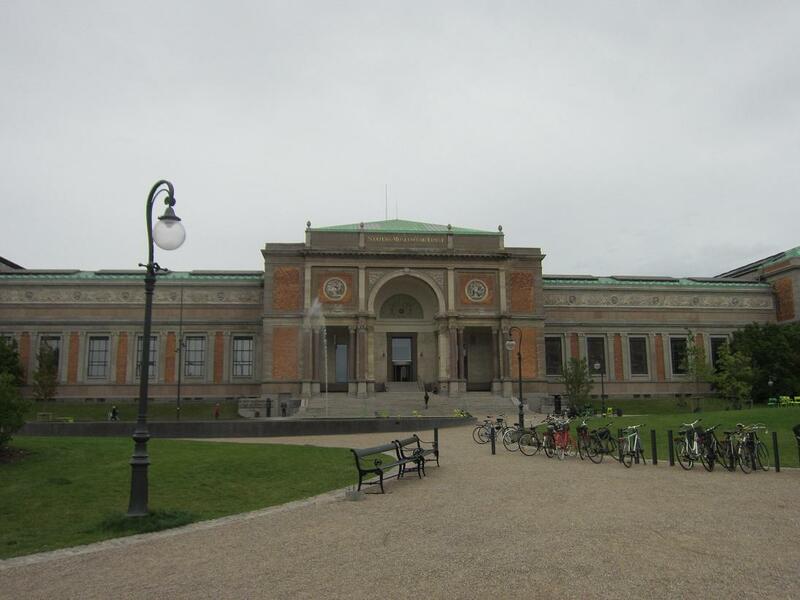 While this museum is centrally located, the Statens Museum for Kunst (National Art Gallery) is a little to the north and situated in a grassy park. It’s not much of a walk, but you can take a tram or metro if the weather is on the nasty side. There is plenty here as well, with works by Durer, Matisse, Titian and many other greats, along with more modern Danish artists. If the weather is good, the park is perfect for a lunch break. 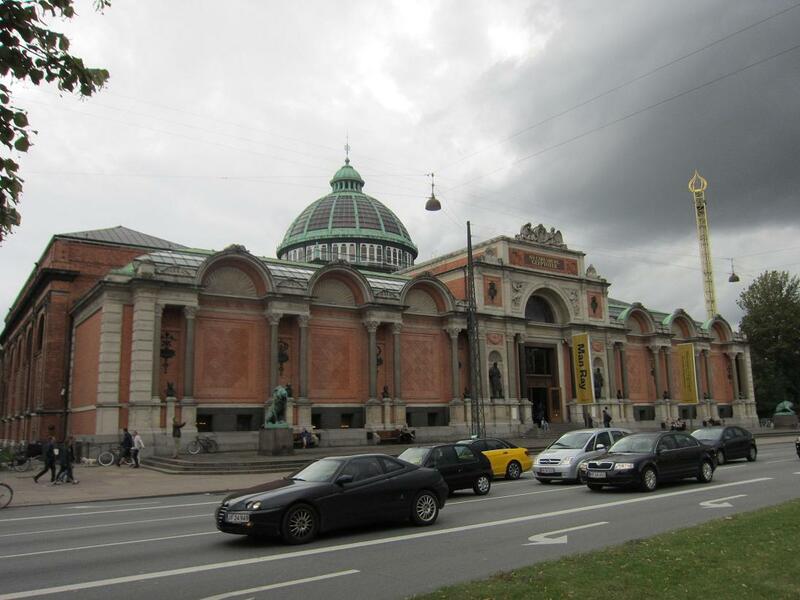 Back in the centre of town, it’s well worth taking a few hours to explore the Nationalmuseet (National Museum). There is, as one would expect, a comprehensive history of the Danes and their culture, along with extensive collections of Green and Egyptian antiquities. A particularly delightful exhibit is the Sun Chariot, a Bronze Age casting depicting a horse on wheels pulling a large sun disk. 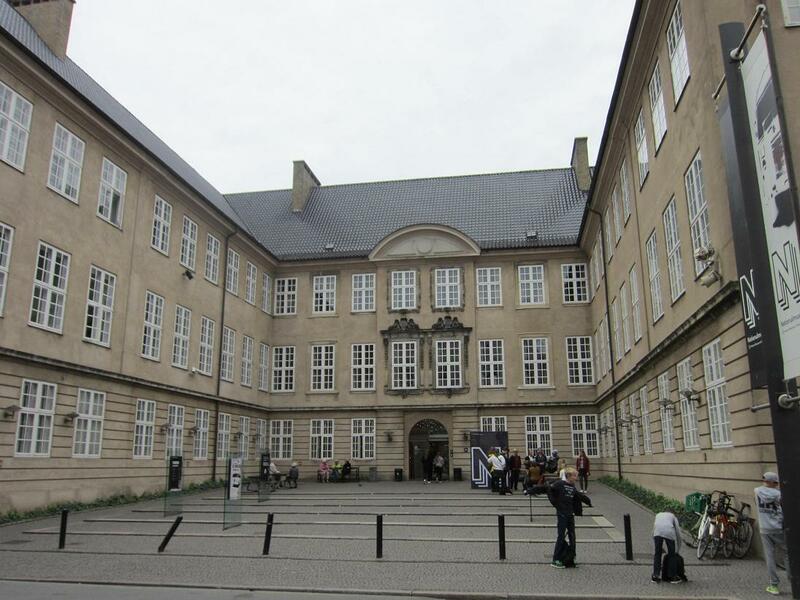 Like many of Copenhagen’s museums, there is free entry. 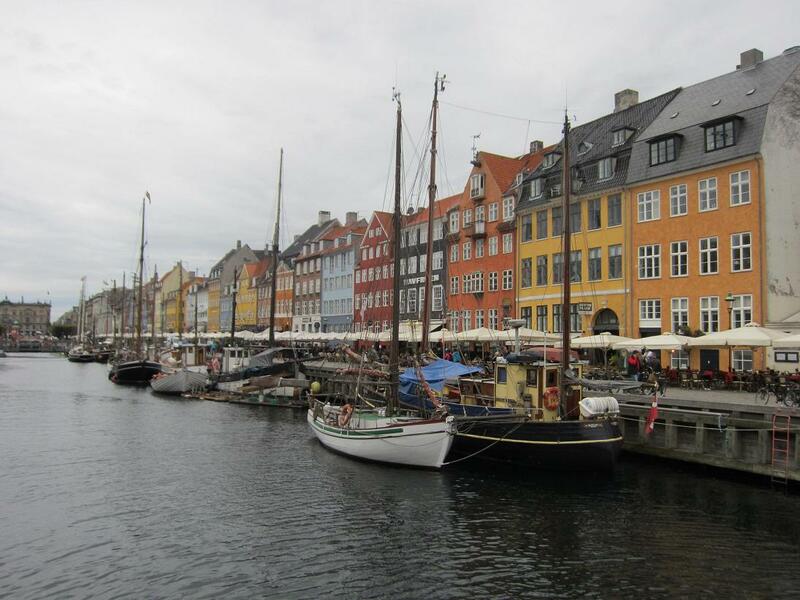 In short, Copenhagen has plenty to offer, from museums and galleries to castles, parks, pubs, restaurants and all sorts of amusements to suit all tastes and ages. The transport system is excellent, with frequent trams, local (S) and metro trains. 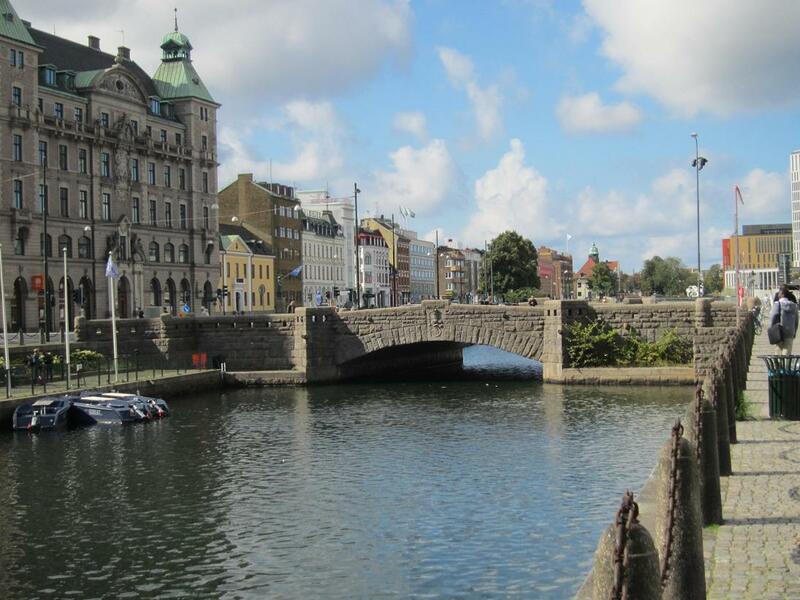 Sightseeing is, of course, best done on foot and Copenhagen is highly convenient in that regard, being one of the flatter capital cities in Europe. While it’s true that it’s not the cheapest of places, even budget-conscious travellers should get by without having to shell out a fortune. These notes have, for the most part, covered an Eastern European theme. It is likely, certainly for those of us of a certain age, that we still tend to think in terms of east and west more in a political sense than a geographical one. It would be fair to describe several of the places featured in these pages as being centrally located in Europe. For example, Prague, Bratislava, Vienna, and Berlin cannot really be described as being in the east of the continent, though clearly the first two would have been thought of in that way during days of Cold War. Of course, part of Berlin was unequivocally in the east in those times. Being a Berliner during the years of the wall must have been a strange experience, possibly even more so for those in the enclave of West Berlin. If one considers Ljubljana, this lovely city cannot be termed eastern geographically, but because it resided in the former Yugoslavia, it is easier to place it on the eastern side of an imaginary line, albeit a rather wobbly line. Enough of this rambling, because there is more interesting rambling to be done. Indeed, Duck Holiday has rambled quite extensively and in the coming weeks, intends to diversify a little by looking at some other spots around Europe. Readers are cordially invited to follow us around, wherever we may roam.